The Double Wedding Ring is somewhat of a tradition for quilters to make and to give to the bride and groom on their special day. 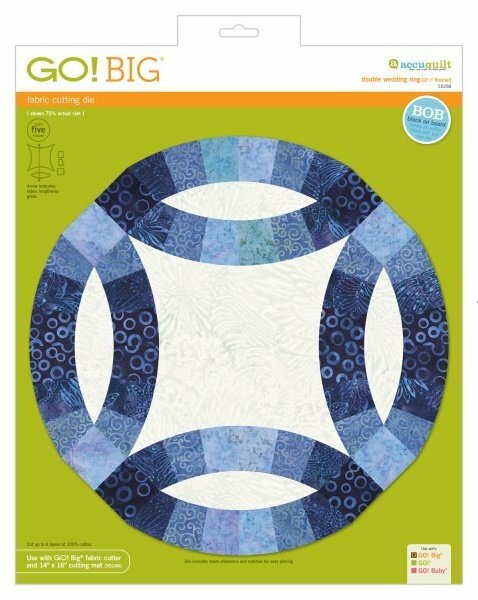 All of the shapes you need to cut the classic Double Wedding Ring quilt can be found on the GO! Big Double Wedding Ring-12 1/2" Finished die. You can piece this beautiful block together in no time with the helpful notches for easy alignment included on the pieces. Works only on the GO! Big Fabric Cutter.